Hello everyone, thanks for joining Yummy Sunday. Starting this week, I will be including a featured YS participant in every YS post. So, for this week, Kim of “At My Tabletop” is the featured YS participant. Go visit her blog today and leave some comment. 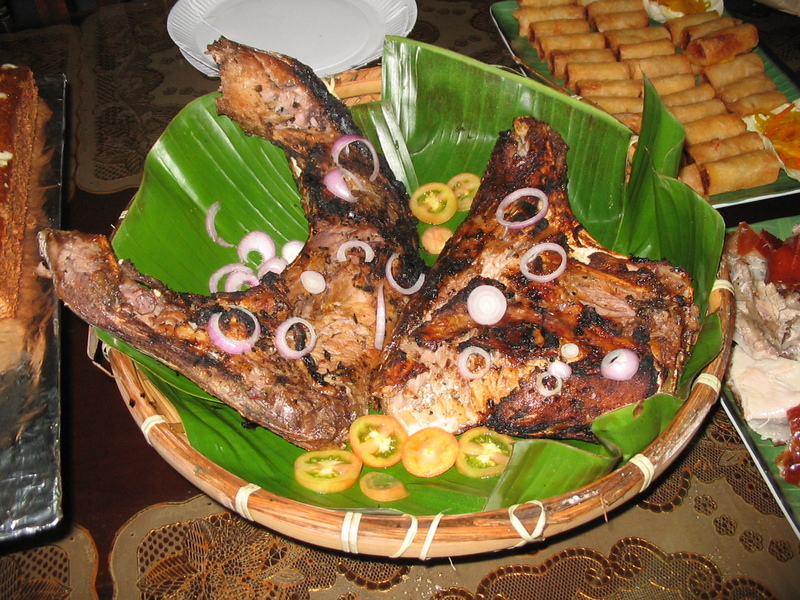 Grilled “Panga” (Tuna Jaw) is one of my hubby’s favorite. Some would think that it’s very complicated to prepare this food, but the truth is it is very easy. There are now cuts of Panga that are sold in the market today so all you have to do is wash them properly, season with salt and pepper then grill. I think the only difficult part in the process is the grilling. The photo above is taken during hubby’s birthday celebration. We both prepared this food. Hubby did the grilling, while I was the one who did the garnishing. My family thought we ordered this dish from a restaurant. LOL! My recipe for this week was posted last Thurday, it is paksiw na pata. I got the recipe from Mommy Liz’s blog but tweak some other ingredient and procedure. Congrats ate Kim.. Sarap naman nyan sis! Our Comfort Foods on lazy days! Hello Boogie, sorry ngayon lang ako naka chance mag comment, busy kasi. salamat sa dalaw at sa food. Hmm, yummy talaga ang mga pagakain sa Pinas. galaway ko bogs. panga is one of my favorite dish. hope mgluto napud ana comes december, hehehe..